On September 19, let’s show the world that everything you see – and even some things you can’t – begins with the work of an engineer! OSPE is thrilled to announce the return of its popular #AnEngineerWasHere public awareness campaign. Initially launched in 2016, OSPE’s small but mighty #AnEngineerWasHere tags reached an audience of over 814,000 people on social media and this September 19 we need your help to make that number grow! How we live, travel and experience the world is made possible by the expertise of engineers. But in our rapidly changing world, the role of the engineer is constantly evolving and often overlooked. Engineers must be consulted before important societal decisions are made, so that the future of our province is based on technically and economically sound principles. Need help getting started? 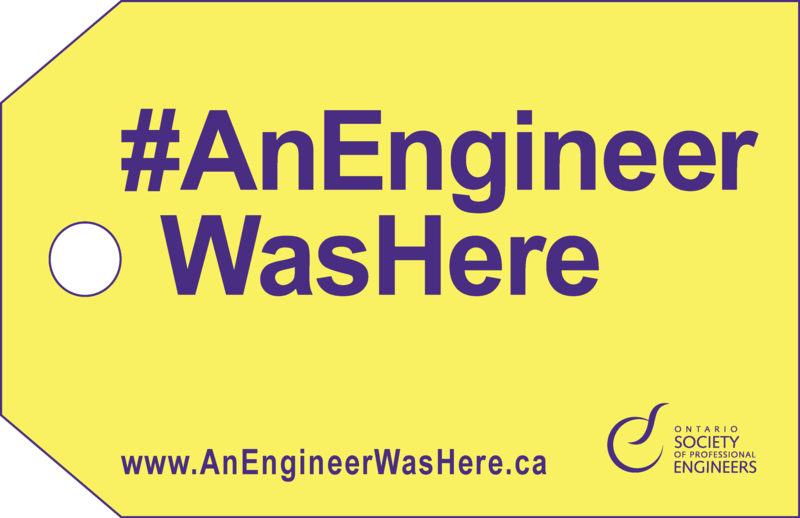 Borrow one of these social media messages when you share your #AnEngineerWasHere photo on September 19. All photos shared on social media using the hashtag #AnEngineerWasHere will be added to an interactive map on our website. Help us fill in your corner of the province with examples of engineering excellence.